Thanks to celebrities such as the Kardashians and Hadid sisters, athleisure outfits suddenly look fashionable, enticing and most importantly, relatable to us. 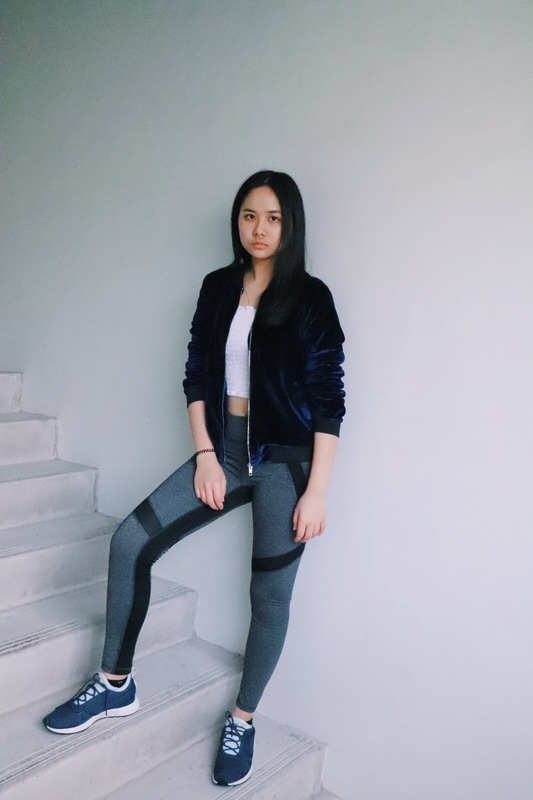 The basic fundamentals to do in order to style up for your daily activewear is to collaborate your usual day- to- day style with a sporty image to be able to portray a nice activewear style and make sure that the undergarment seams are not visible from outside of the pants to create an unpleasing image. 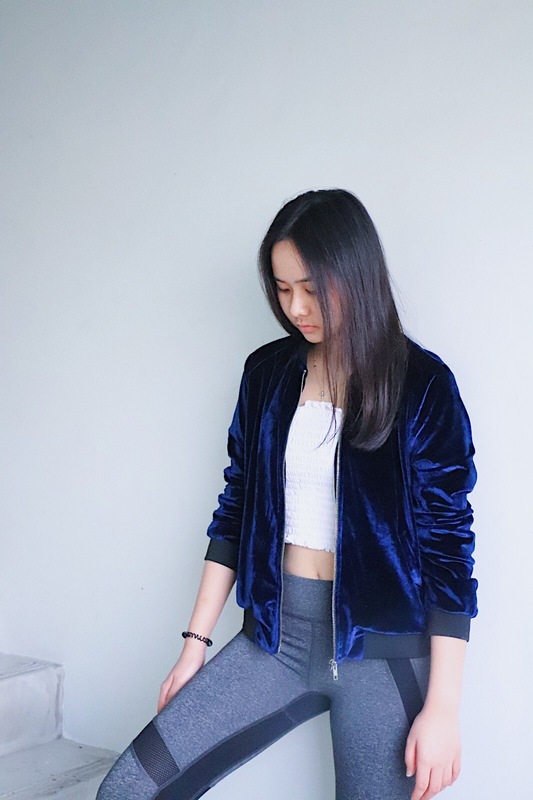 So, here are some examples of my own personal athleisure style wardrobe! Pulling my day off with a basic black shirt and a cropped hoodie with a long stretchy yoga pants in black. Well, I must say you do become more confident since it makes your leg look longer and smaller. I styled it up with my classic 3 stripes Adidas hat and Adidas shoes, ready to rock the day. Out for an exercise? Don’t worry you can still look good! Going out for a jog with my Nike training tank top and pairing it up with my light grey yoga pants with green lining in the sides to create an optical illusion to make your legs looks curvy. It is called the three- piece rule because it consists of the top, bottom and outerwear. . This style here looks sporty yet more fashionable with the velvety detail of the outerwear. It is a perfect style to go shopping and roaming around the busy street. Booty shorts has been sweeping the trend (thanks, Kim K!) this summer and seen more often compared to yoga pants. 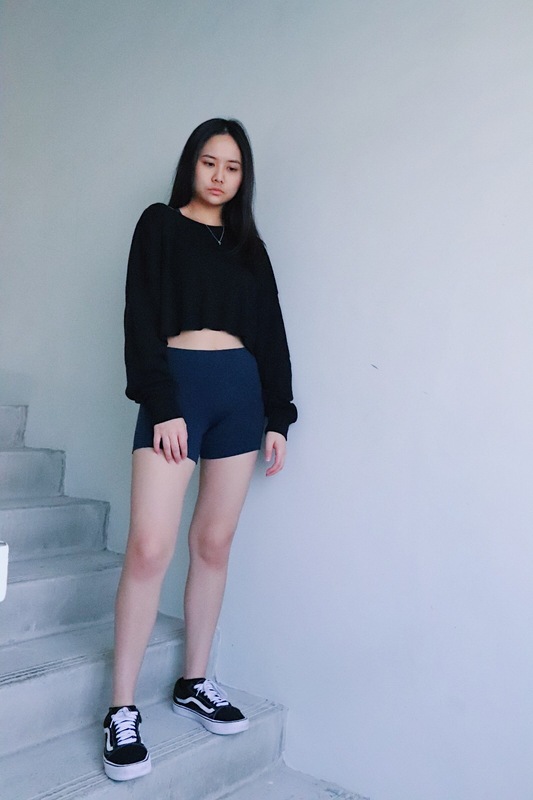 For this fourth look, I’m pairing up my booty shorts with a cropped black sweater and sports bra for a short meet-up outside the sun. Pairing it up with a more basic street wear shoes, which are the sneakers!